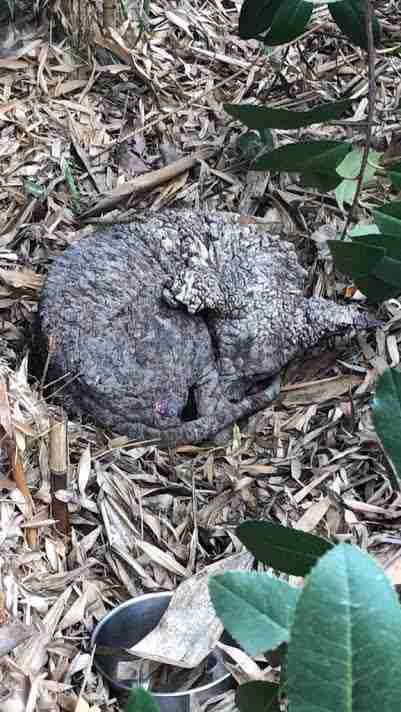 When the staffers at Wildlife Care of SoCal first saw a picture of the coyote they were supposed to help, they could barely tell what they were looking at. 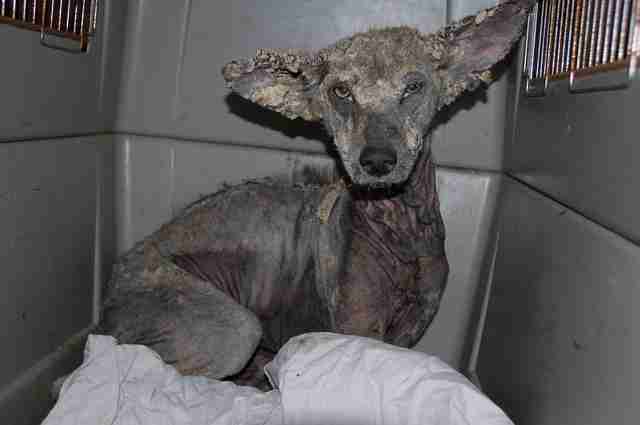 His body was so covered in mange that he looked like a stone. 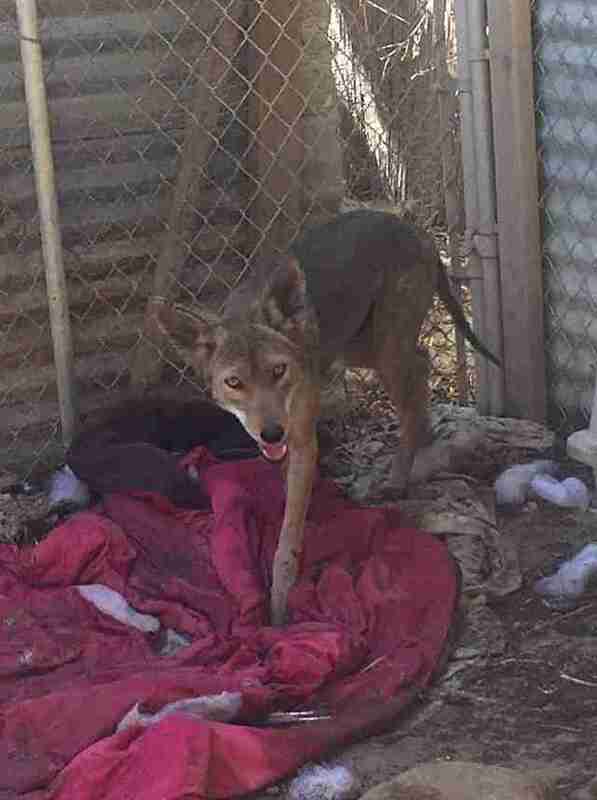 Earlier this year, Reams had started getting phone calls from members of the public who’d spotted this coyote around Whittier, California — but Reams knew that catching him was going to be tricky. After a couple tries, Reams finally had a breakthrough in late May. 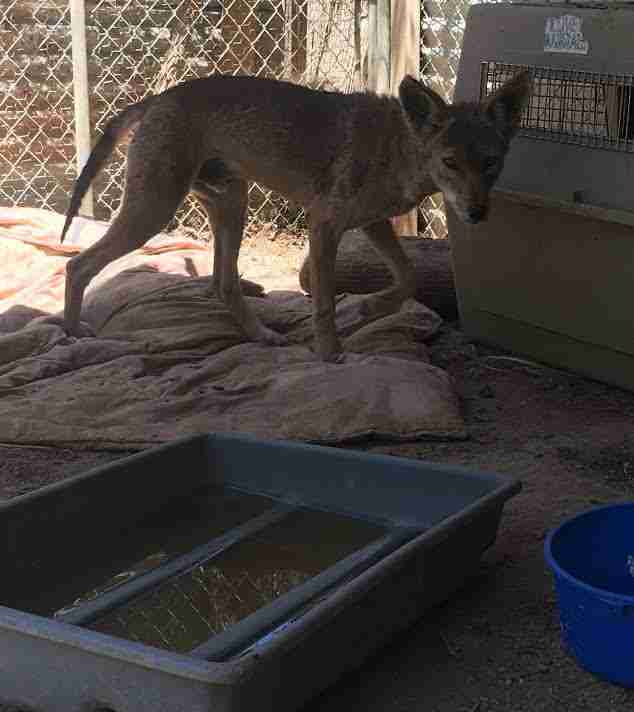 The coyote, now known as Ser Jorah after the “Game of Thrones” character, had started hanging out at a local dog park, and Reams and her team managed to sneak up on him while he was sleeping and catch him in a net. The team drove Ser Jorah to Wildlife Care of SoCal’s rehabilitation center, and started treating him with medication. They hoped for the best. 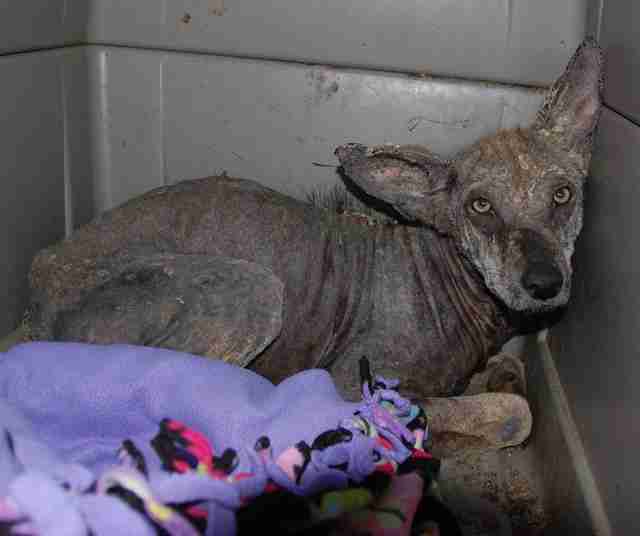 Unfortunately, mange is a huge problem for wild coyotes in California, and rescuers are often called in to help animals like Ser Jorah. 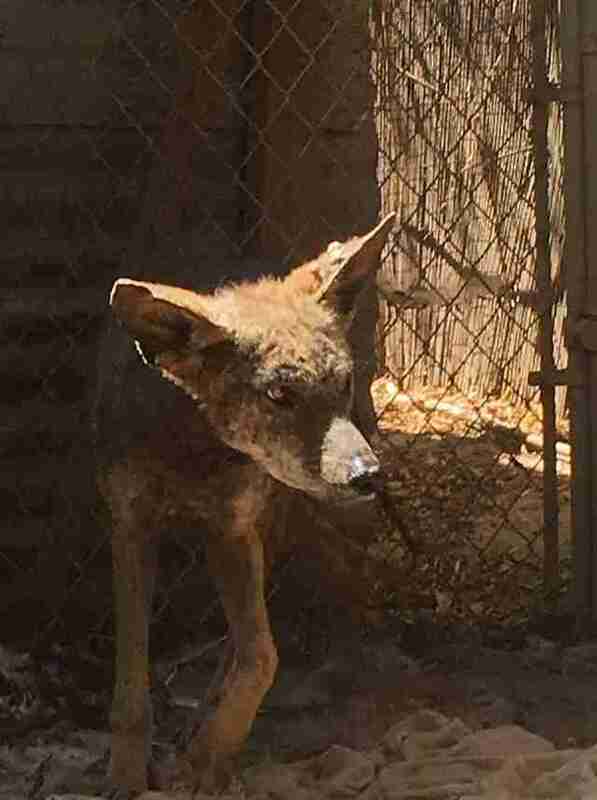 Reams believes this kind of mange is caused by a poison called rodenticide — when coyotes eat rodents who are affected by this, they become poisoned themselves. 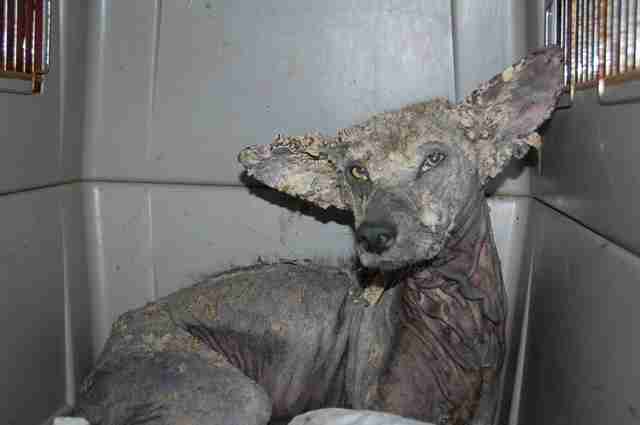 And when animals’ immune systems are low, they’re particularly susceptible to mange. Reams said that Ser Jorah had the “worst case” of mange she’d seen, but he also recovered the quickest. In fact, she started seeing improvement within one week. And after eight weeks in rehabilitation, Ser Jorah was ready to be released back into the wild. Reams hopes that Ser Jorah will remain healthy and strong, although there’s always a chance he’ll get mange again if the root of the problem isn’t solved. The best way to prevent coyotes like Ser Jorah from getting mange is to stop using rodenticide, Reams explained. Another way to help protect coyotes is to avoid feeding them, Reams said. 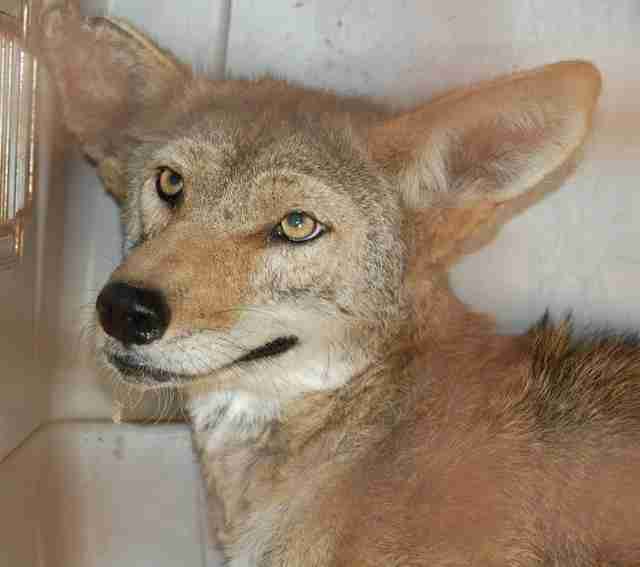 To help rescue and rehabilitate sick coyotes like Ser Jorah, you can make a donation to Wildlife Care of SoCal.